San Francisco based customizer, Rob Ramirez AKA Ink_Visuals takes on PlayHouse x COARSE “NIBBLE And ROOT” Giving them a much darker side and embellished with Rob’s signature style and not forgetting his love for Swarovski crystals. 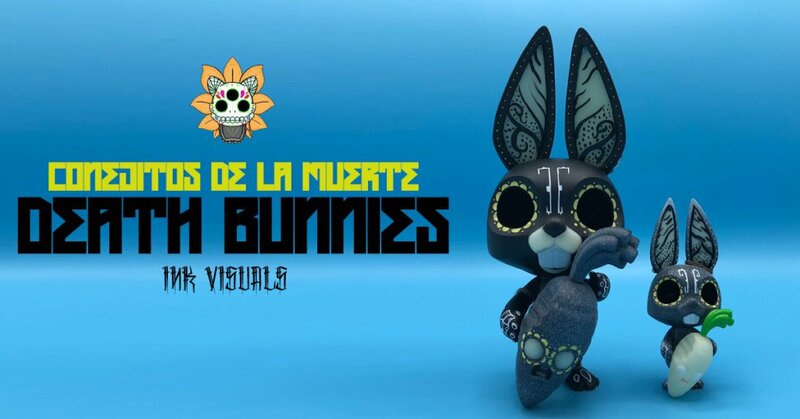 Conejitos de la muerte (death bunnies) The pair will be made available TODAY! The icing on the top is they GLOW IN THE DARK. EDITION: One of a Kind!